Fans of fantasy and science-fiction literature are a devoted bunch. They’ll come out in throngs just for a chance to meet one of their favorite authors. So, what kind of love-fest can you expect when 10 of the best-loved creators of fantastic fiction gather in one place? Super Writers of the Universe & Friends brings together the kind of talent that usually requires a fan-convention ticket to see in one place—and today, it’s free. 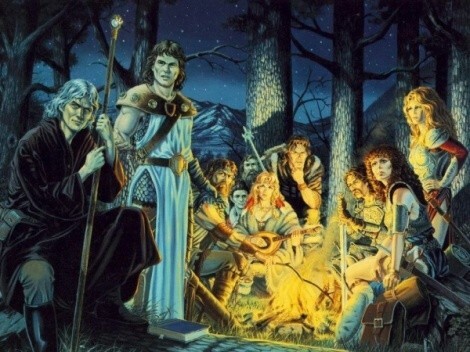 Utah-based writers scheduled to attend include Tracy Hickman (Dragonlance), David Farland (Runelords), Paul Genesse (The Golden Cord) and John Brown (Servant of a Dark God). All will be signing their works, many books will be given away courtesy of Tor publishing, and the new book by Larry Correia, Vendetta, will be available three days before its official release. Try to remain calm. Super Writers of the Universe & Friends @ Barnes & Noble, 7157 Plaza Center Drive, West Jordan, 801-282-1324, Sept. 25, 11 a.m.-1 p.m.; @ Borders Bookstore, 132 E. Winchester, Murray, 801-313-1020, Sept. 25, 3-5 p.m., free.